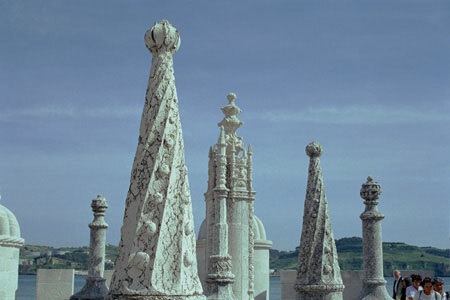 Belém, about 10 minutes' ride from central Lisbon, has both royal and maritime associations. Today, it's a rather posh neighborhood, full of parks, museums and landmarks. One of the key visits was to the bakery that makes pasteis de nata, which here are called pasteis de Belém and touted as a local specialty. They're bird nest-like pastry cups with custard inside. The silliest visit was to the Coach Museum (I'm still meaning to visit the Chair Museum in High Wycombe). 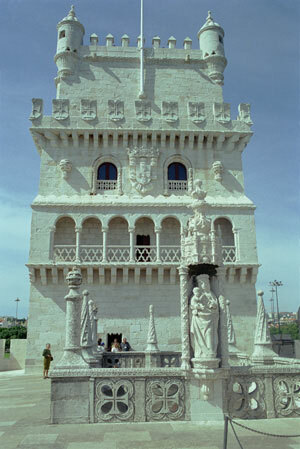 One of Portugal's most famous landmarks is the tower of Belém. 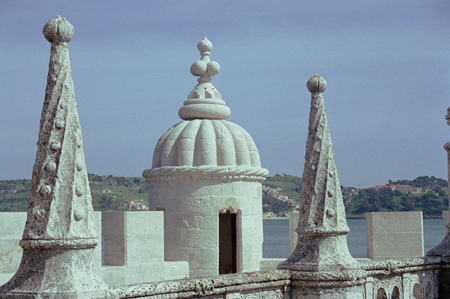 A fortress completed in 1521, this is where the explorers started their journeys. Monastic life doesn't always mean privation! 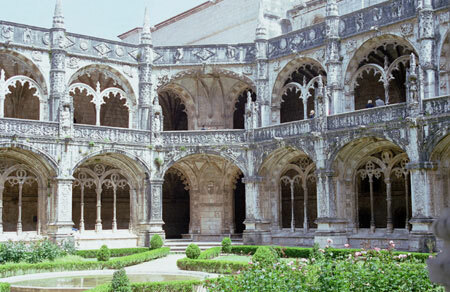 There was a huge, vaulted sanctuary, and the service they held that day was opulent, to say the least. I was lucky to have missed Mr. Clinton and his entourage. The Portuguese were very excited by the attention. The statue in front is Our Lady of Safe Homecoming. 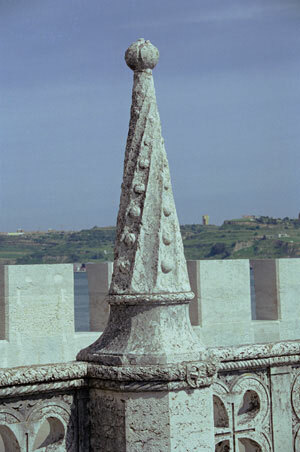 Probably one of those world power things.